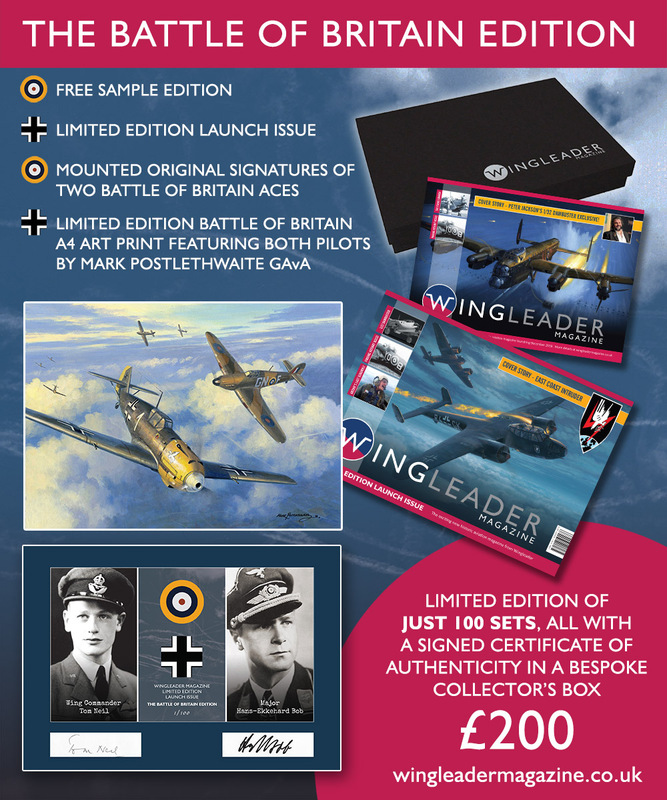 I've just completed the artwork for the Battle of Britain Boxed Set in our Wingleader Magazine crowd funding campaign. With only three days left of the crowd funding, I've just completed the artwork for the Battle of Britain boxed set's print. I painted it on a 15" x 11" piece of artboard, similar to my Osprey cover art pieces. It depicts Tom Neil and Hans-Ekkehard Bob in a hypothetical 'dogfight double' scenario towards the end of the Battle of Britain. Each box contains this A4 print along with the original signatures of both Aces, plus our two magazines. These special limited edition boxed sets would make ideal Christmas presents, as would all the rewards on the crowd funding page, so please do go and take a look. The original 15" x 11" painting will be for sale, if anyone is interested contact me directly, guide price is £1100.